Great way to discover Amsterdam & lots of places to stop to have a coffee or even lunch. We loved the fact that it was not a race (as we were in the same team) and that we could enjoy at the same time the city. 8 steps (we chose the short trail) was perfect for us, it didn’t take us all day, it was just part of our program during the day. Not too easy but not too difficult as you can always unlock clues – so you are never stuck and can always find your way. Great choices of places, local, nice, avoiding too touristic areas. An amazing experience. You can find a lot of unknown or lesser-known places all around the city. We played in this game for a few hours and after the last clue we just wanted more and more 🙂 100 % worth to check! An Amazing way to discover a city. A very good time spent with friends in your own town or while traveling. For me it was a really nice experience. As a local I didn’t expect Amsterdam to have so many beautiful spots I had never seen before. Would definitely recommend it! Needed a fun idea for a team day out, this did the trick! Nice way to discover a city. Really fun, nice work Secret City Trails Team! We had so much fun doing the secret gems trail this morning!! Was a really lovely way to see places we wouldn’t have known about! Really highly recommend! It is a pretty original way to spend an afternoon walking around outside. You get to solve puzzles, speak with locals and pay attention to details in the city I had never seen. It can be a bit challenging at times but then the feeling of solving something kicks in and it leaves a good mark. I wish there was something like this in my home town. I tried the hidden gems trail in Amsterdam and it was great! The clues were a bit hard in the beginning but very fun to solve. It made me look differently at the city and I discovered places I’ve never been to before. I would love to do this in the other cities as well. 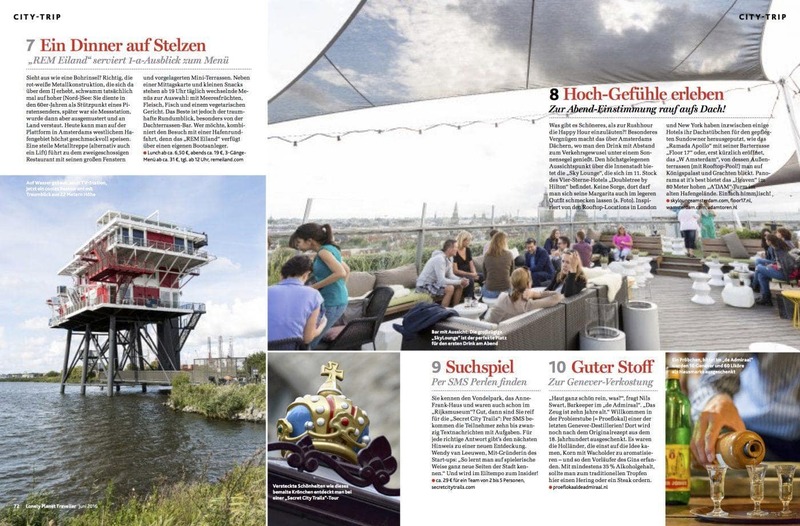 Secret City Trails were recommended as number 9 attraction in Amsterdam this summer by the German edition of Lonely Planet Traveller Magazine.